We've collected the most important stats and data to help you get a clear view of CRM's impact on businesses. CRM or customer relationship management, according to Salesforce, a world leader in CRM software, is a system that allows businesses to manage customer relationships and all relevant data and information associated with them. Customer relationships are vital to a business’ success, regardless of the industry. Given that a wide range of communication channels are used by customers today, along with their increased demand for rapid and more integrated responses, it is crucial that businesses adopt an organized and fluid system for maintaining customer records. A CRM system, which is often likened to a central database or the vital nerve in any business, keeps tabs of customers in various stages of the customer cycle so that people from different departments in a company can serve them promptly and with relevant information, all while taking into account their previous interactions. An effective CRM system should enable companies to deliver enriching customer experiences. Another benefit CRM users enjoy is smart data management. With an integrated and centralized database architecture, information is on-hand 24×7 for both the front- and back-ends of your operation—leading to improved sales conversions and better customer satisfaction ratings. And while CRM is centered on customer relationships, it also provides additional solutions for the business through reporting and analytics that are necessary to drive company strategies and decision-making. 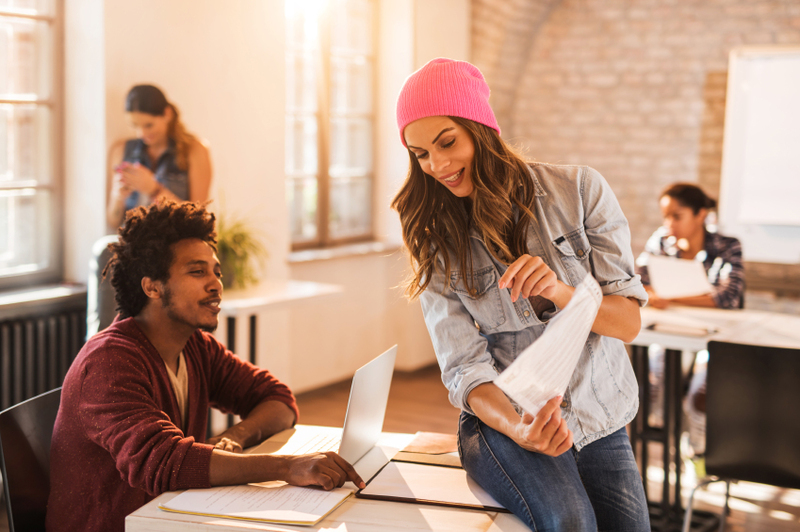 Collaboration among employees can beeasily fostered, tasks can be quickly delegated, and sales trends consistently monitored. 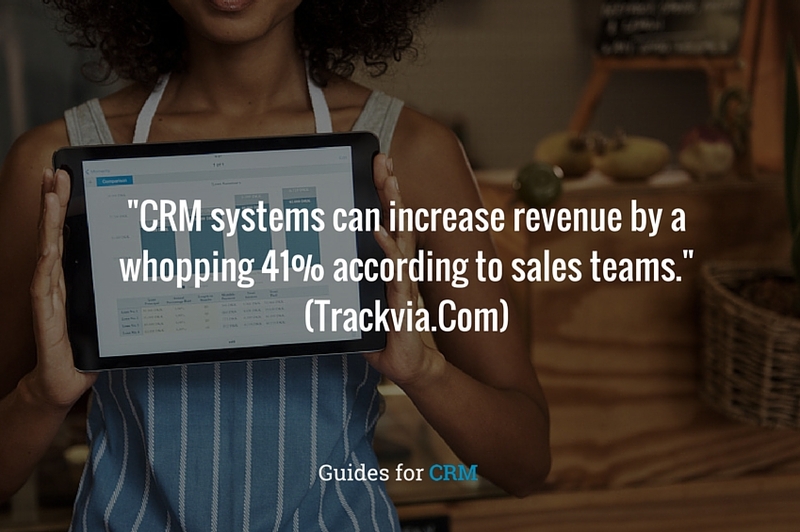 These stats point to the reason that a CRM system makes sense for almost every business. The benefits of having a CRM system are invaluable when you consider the potential impact on sales, marketing and customer service experience. CRM technology is an evolving and expanding field. According to Forbes, CRM software has shown a compound annual growth rate (CAGR) of 15.1% from 2012-2017, leading all enterprise software categories in projected growth. Gartner forecasts that the market will increase to a $36.5 billion worldwide by 2017. Companies should be mindful of these trends so that they can gauge whether their current CRM system is still appropriate for the vision they have in mind, or if additional features can help maximize the benefits of their CRM efforts. Customized CRM software is becoming a hot commodity nowadays, as more companies want tools that are aligned with their company-specific policies and requirements. Personalized CRM tools eliminate the need for extensive training as they can be more user-friendly and more closely aligned with a business’ existing pratices. A company’s CRM system should seamlessly integrate with its eCommerce system, marketing automation software, analytics platform, accounting system, and other business solutions. Companies are demanding that this be made more of a native solution than an added functionality, so that seamless integration is possible. Visualization and mapping insights with Google Maps integration on desktop and mobile devices enable users to dynamically map current and prospective customers, access customizable map filters to categorize markets and territories, optimize sales travel with one-touch driving directions, and create geographically-based marketing campaigns. CRM vendors are starting to offer apps and access to critical CRM functions like opportunity management, support ticketing, and dashboards on an Apple/Android smart watches. CRM vendors are beginning to deliver SMS marketing functionality, which is available on smartphones and tablets today. Since nearly 100% of all mobile devices on the market are SMS-enabled, this feature provides the widest reach possible. Software-as-a-service (SaaS) will dominate in the future and it is likely that over half of CRM deployments will be cloud-based SaaS, as revealed by Gartner. The same study suggests that through SaaS is the more preferable choice over installed CRM in terms of security, time, and cost. Marketing automation is destined to lead the various flavors of CRM applications, with a 10.7% compound annual growth (CAGR) by 2016, and a total market value share of $4.6 billion as predicted by Gartner. While stand-alone big data analytics providers have been around for several years, there will be a rise in smaller predictive analytics players offering their services to supplement your existing CRM software solutions in 2016. By tapping into large business purchase trend data and pairing it with personalized prospect activity, these predictive analytic providers can better pinpoint specific sales opportunities and identify how to move prospects through the sales funnel more effectively. Prospective customers now interact with companies across a myriad of channels and devices, taking increasingly longer time to consider their options before purchasing. Between reading website reviews, watching product videos on YouTube, asking for recommendations on Twitter and Facebook, reading blog articles to research their purchase, or chatting with a sales rep on your website, there are a variety of paths a customer may take toward eventually purchasing your product or service. CRM software can now map out this sales journey through multi-funnel reports to give valuable information on which channels companies can focus on more to drive better ROI. Customers can also study consumer behavior that can help them strategize their advertising and marketing campaigns. Loyal customers are a business’ most treasured asset, and companies aim to retain them since they are the force behind a company’s success. Precise data helps in tracking customer habits and purchasing behavior that can be used to design more effective loyalty programs. This data can be used to craft strong custom loyalty programs which can attract new customers and increase customer satisfaction. In 2016, CRM data is expected to be widely used in the design of loyalty programs. Recent studies show that 46% of consumers use social media in their purchase decisions, and mobile media time surpassed desktop internet usage in 2015 for the very first time. In 2016, businesses will increase their focus on the entire customer experience, regardless of the channel or device being used. Since most customers are on social media and use their mobile devices heavily, businesses will need to go there as well. As such, CRM systems can no longer offer optional social tracking or mobile capabilities as upgrades or add-ons. This functionality will need to be built into the core CRM packages so that businesses can easily track prospects’ and customers’ journeys more accurately. (If your CRM system does not have this as a native feature, it’s time to look for other options). By 2016, 55% of the salespeople will access sales applications exclusively through smartphones or tablets. According to reports, 48% of CRM users can now access their software from a smartphone, with 45% accessing from a tablet. As a result, mobile vendors are coming up with interesting CRM applications that work on smartphones or tablets and are more user-friendly. These mobile applications will help the marketers in the “field” to make swift, educated decisions. Social media integration has become part and parcel of everyday life, and businesses are no longer an exception. Establishing a social media presence for businesses is now a must have not a nice to have. However, it is key to measure the impact of your social media efforts once they are up and running. Social CRM will be a new platform for customers and companies to interact. The social media monitoring tools available will prove to be a great help, as they can help track the social media marketing efforts of a brand. Customer service response time has become even more critical these days as dissatisfied customers publish their negative opinions on social media, which can sully a brand’s image. Social CRM can help address this challenge and deal with negative comments as they occur. At the end of the day, it’s all about the customer. Wherever the customer goes, we follow. Whatever the customer wants, we give. Whatever the customer expects, we deliver. 2016 is the year of the customer. In today’s world where 80% of consumers will research your product online before making a purchase, 87% will use their mobile device to shop and will use several channels to interact with your brand, it is imperative to be able to engage all customers across multiple channels through multiple devices with excellent customer service. It is also crucial that companies harness all the data these channels can provide to enable a 360-degree perspective of each customer you connect with. And as more channels open, it will become even more necessary for your business to foster seamless integration among all your departments to raise the bar on customer service. While this is challenging, having the right CRM system will get your business in the best shape possible in 2016. Next: Free vs. Paid CRM Solutions: Which Best Suits Your Business?